Military exchange customers can enter to win a one-of-a-kind Harley-Davidson motorcycle that’s been customized by a nonprofit that trains and supports wounded warriors. 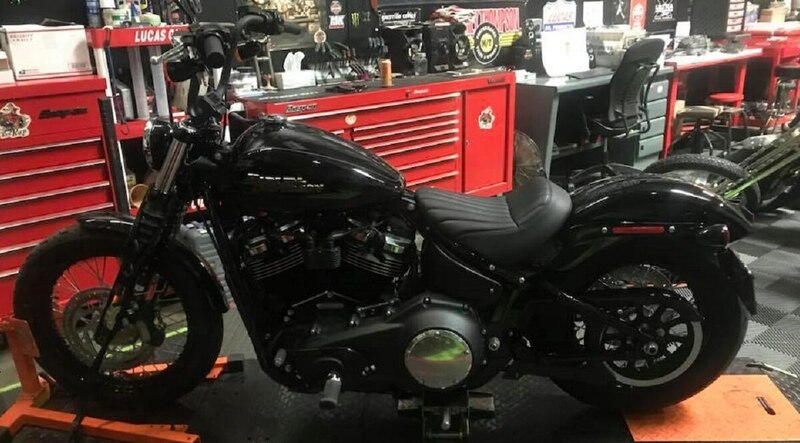 Shoppers have until April 30 to claim their chance at a 2018 Harley-Davidson FXBB Street Bob that will include custom wheels, handlebars, foot pegs and more courtesy of Warrior Built, a group founded by Marine combat veteran Nick Hamm that offers vocational training for combat veterans in its California shop. Along with custom builds and recreational outings, the nonprofit assists veterans who have interest in motorsports careers and other vehicle-industry vocations. Organizers peg the bike’s value at $25,000. Exchange-eligible shoppers, including veterans, can head here for sweepstakes rules and entry procedures. Warrior Built’s Facebook page offers more details on the custom job and the sweepstakes, which is sponsored by Monster Energy. The winner will be announced on or around May 7, according to an Army and Air Force Exchange Service news release.